New Year, new you… new places to go! Although the holidays are just now vanishing into the rearview, many of us infected with wanderlust are constantly looking forward to the next adventure… and January is a great time to figure out where to travel over the next twelve months. 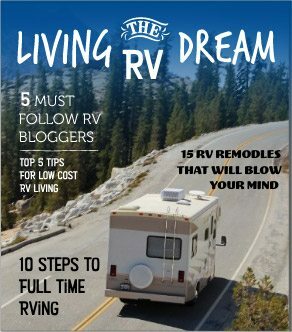 The good thing for RVers? The American highway system is pretty much an unending carousel of fun places to go. From the mountain west to the swampy east, there’s no shortage of amazing spots to see from the comfort of your motorhome or travel trailer. That said, we do have our eye on a few specific spots this year — including some old classics as well as some less-well-trodden destinations you might have seen yet on a “best places to visit” list. And since it’s officially 2019, we thought it only fitting to put together this list of 19 road trip destinations we just can’t miss this year. If you’re playing road trip planner this year, keep on reading — we put together this trip guide to help you find some beautiful places to visit you might not have considered yet! Without further ado, here are the travel spots we’ve put on the top of our own travel bucket lists this year. America’s full of amazing places to visit… but these spots are road trip classics for a reason. Utah’s best-kept secret sure isn’t a secret anymore. 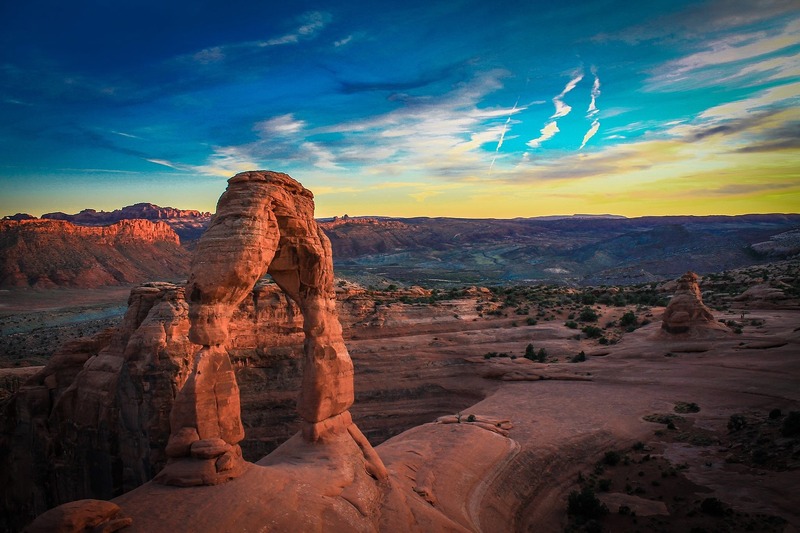 According to the National Park Service, more than 1.5 million people visit Arches each year, and that number is only growing. But it’s easy to see why this surreal desert landscape is so popular: delicate sandstone arches rise gracefully out of the mesa, drawing every eye skyward toward the endless clouds and stars above. If you don’t want to share your hike (or selfie) with a dozen other bodies, consider visiting during the off-season. Not only will you have the place to yourself, but all that red rock looks absolutely stunning when offset by snow. Click here to see RVshare rentals near Arches National Park. 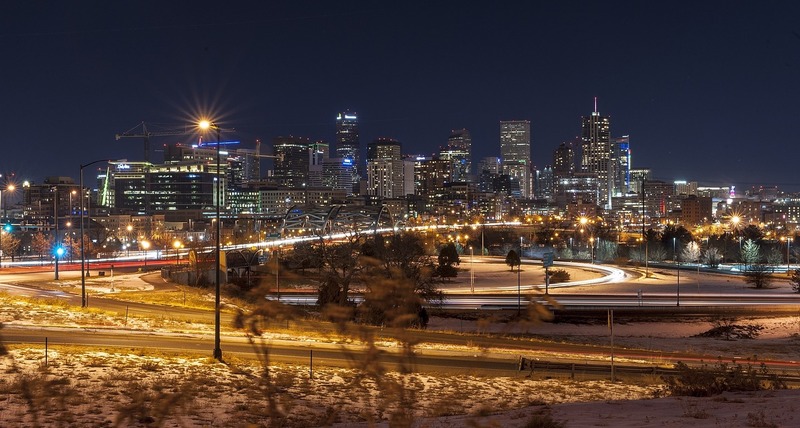 If you’re looking for an urban home base from which to explore the western mountains, you just can’t beat Denver — and with its diverse zoo, sprawling botanical gardens, and iconic Red Rocks Amphitheater, you’ll find plenty to do even if you never step foot out of town… although with Rocky Mountain National Park right next door, we highly suggest you do. With outdoor activities available for every single age, interest, and fitness level, it’s easy to see why so many mountaineers hang their hats in the Mile High City. And with world-class restaurants and shopping opportunities, you’ll have a whole lot of fun whether you’re feeling outdoorsy or not. When you’re talking classic holiday destinations, you can’t leave the Grand Canyon off your list. I mean, not every vacation spot gets referenced in a National Lampoon movie. 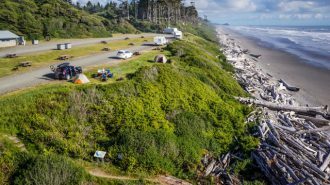 What’s more, this is one of the few national parks that offers RV camping year round. No matter what season you go in, the campgrounds along the south rim will be open… and boy, does that big red crevasse look lovely covered over in a blanket of white snow. 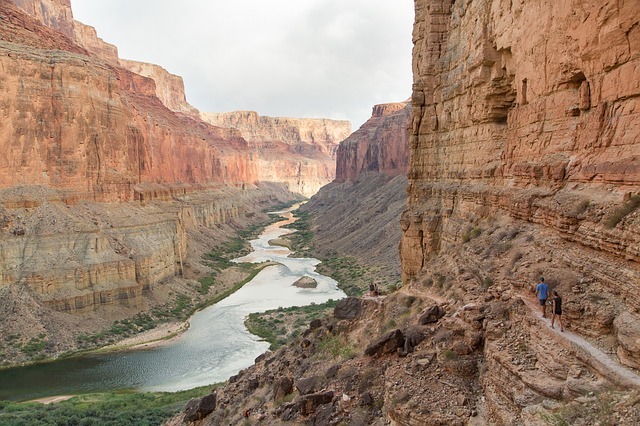 Just be careful if hiking into the canyon is part of your travel bucket list! 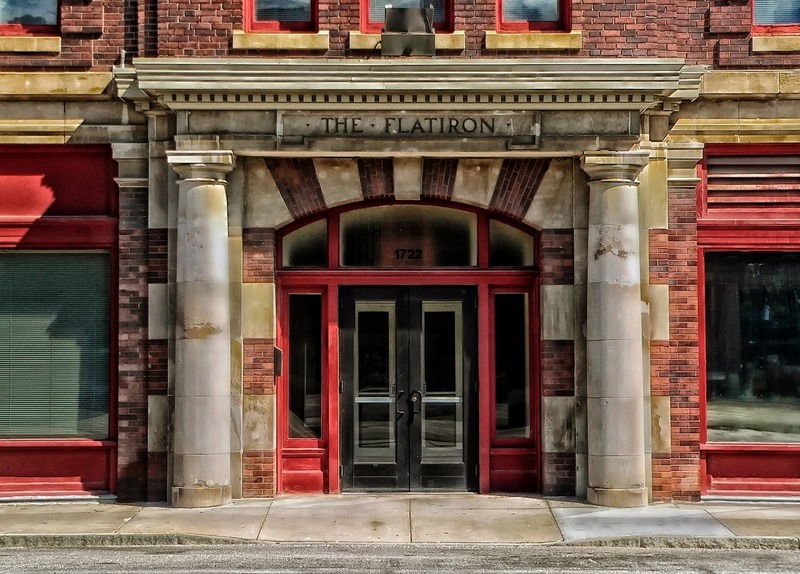 While you’re in the area, don’t forget to check out Flagstaff, which is a surprisingly hip little college town. If you have enough time (and the weather is right), you might even consider taking a day trip out to Sedona. Talk about some scenic hiking! Click here to see RVshare rentals near Grand Canyon National Park. There’s a reason this is the most-visited national park in the country’s roster of over sixty, and it’s not just that it’s free to get in. (Although yes, that helps.) If hiking through greenery-covered trails alongside babbling brooks — or following those brooks to their larger tributaries for a lazy float down the river — sounds like the perfect vacation to you, it’s hard to find a better spot than this sprawling east coast preserve. Looking for some urban fun to round out a day or six of outdoorsiness? Swing by nearby Pigeon Forge and Gatlinburg for tourist to-dos galore, from dinner shows to moonshine samplings. And if you go in winter, you can even go skiing at the Ober Gatlinburg resort! 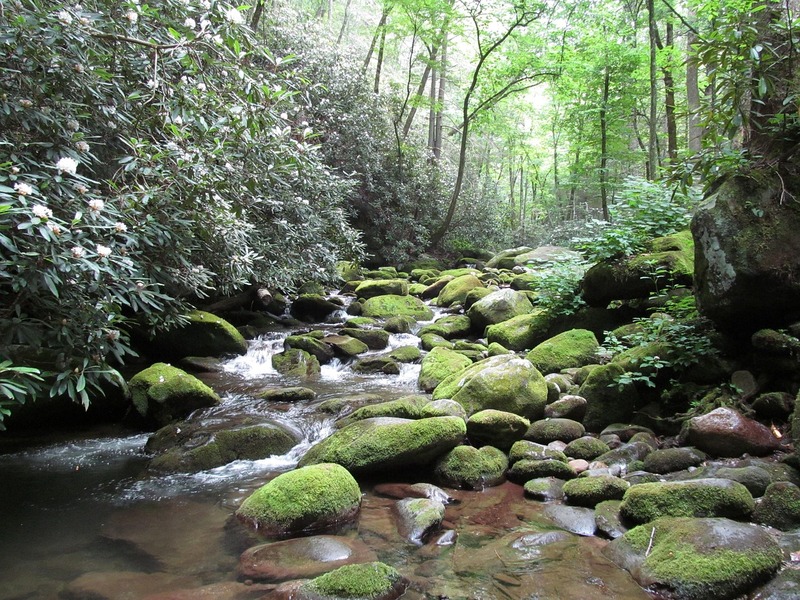 Click here to see RVshare rentals near Great Smoky Mountains National Park. 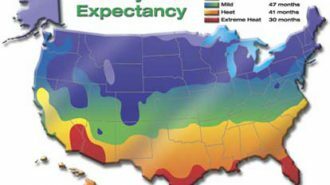 It’s unfortunate that I never took the time to venture to Michigan’s upper peninsula, which would have totally changed my mind about America’s heartland. Comprised of 40 meandering miles of Lake Superior lakeshore, Pictured Rocks is one federal recreation site you definitely don’t want to miss. 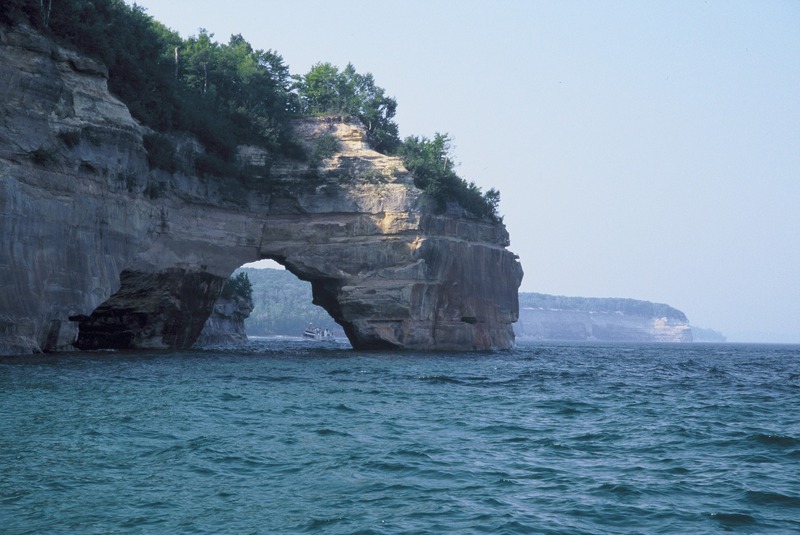 Click here to see RVshare rentals near Pictured Rocks National Lakeshore. Imagine all the restaurants, museums, and quaint boutiques of your favorite big city — nestled right into some of the best wilderness landscapes our country has to offer. You could start the day sipping coffee and noshing on a freshly-friend donut only to finish out with a challenging afternoon mountain hike and a well-deserved soak in a natural hot spring. Not too many other destinations can keep up with that itinerary! You’ll remember the Alamo — and a whole lot more, considering the beauty and charm of this central Texas town, whose riverfront outdoor market rivals the one in Fort Lauderdale. If you’ve got the kids along for the journey, don’t miss a fascinating trip to Seaworld San Antonio or a thrilling journey at the local Six Flags. 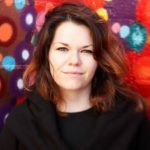 Traveling solo? 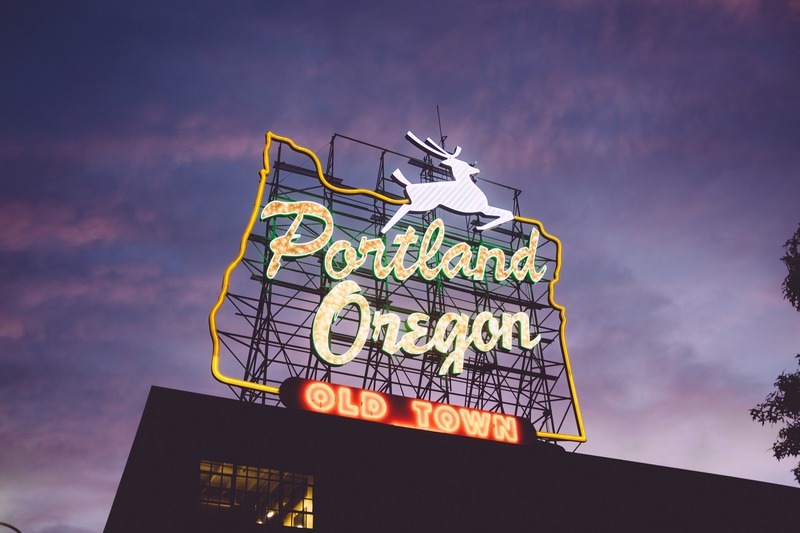 Meandering around downtown is a surefire win, whether you’re checking out the Spanish Colonial architecture or just looking for some delicious eats and drinks. Our suggestions: barbecue, TexMex, and a whole darn pitcher of margaritas. Why not? Click here to see RVshare rentals near San Antonio, Texas. A word of caution, however, related to that point: Yellowstone is tough to see in one trip (or even many) precisely because it’s so big and beautiful. We’re talking about more than 3,400 square miles of wilderness and hundreds of miles of hiking trails… not to mention the bumper-to-bumper traffic you’ll have to contend with during peak tourism time. In short, make sure you have a plan before you get to the park gates, and for best results, consider visiting in the shoulder season. 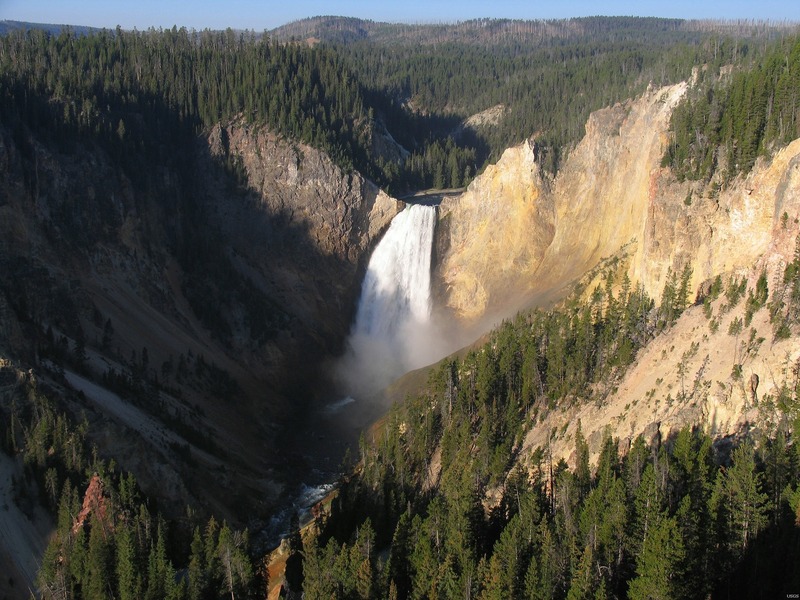 Click here to see RVshare rentals near Yellowstone National Park. Sometimes, it seems like the people who write lists of travel destinations are all gathered around a single table somewhere. And yes, while it’s true that some of the best places to travel in the U.S. deserve multiple mentions, there are plenty of good vacation spots that don’t get quite as much coverage. What’s more, many travelers don’t necessarily think the most crowded parts of the country are fun places to go. It can be difficult to fully enjoy even an epic landscape when you’re trying to see it through a crush of people, all desperately angling to get the perfect Instagram selfie. Although many RVers make plans to do a sweep of the southwest, Albuquerque isn’t always on their radars — and that’s a shame. Because this city has a whole lot more going for it than being the home of one of the most beloved shows on television… and yes, there’s plenty of Breaking Bad tourism to be done during your stopover. Along with walking in Walt’s footsteps, you’ll also get the opportunity to sample some of the most delectable Mexican cuisine in the country; you can choose between red and green chile sauce, or take it up a notch by ordering both. (Locals call it “Christmas.”) Albuquerque’s also within a day’s drive of a stunning array of nearby federal recreation sites, from the Petroglyph and Bandelier National Monuments to the Valles Caldera and world-class hot springs tucked away in the Jemez Mountains. 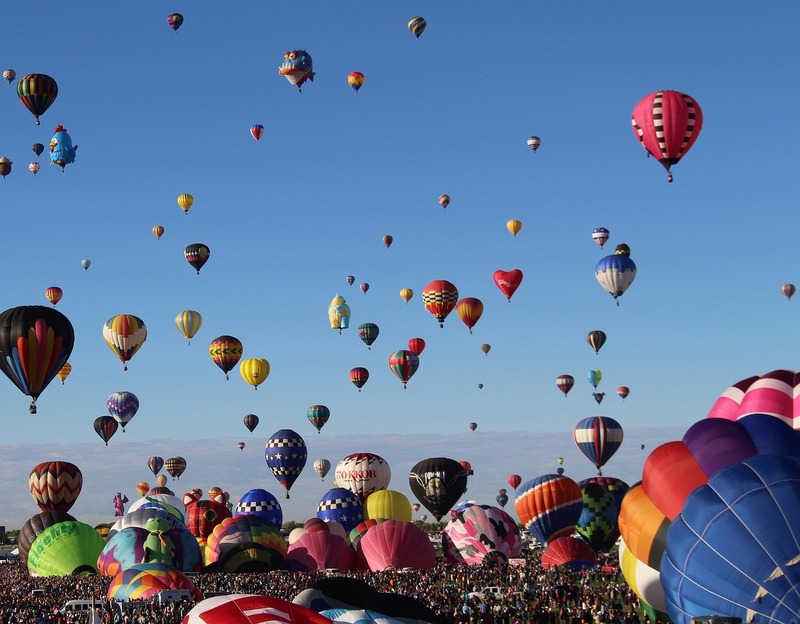 And if you go in early October, you can catch the International Balloon Fiesta, one of the most-photographed (and beloved) events in the country. Oh, and did we mention… Breaking Bad tourism? Click here to see RVshare rentals near Albuquerque, New Mexico. Think all the east coast beaches have to offer the Miami Vice experience? It might be exciting, but it’s not for everybody… and fortunately, there are plenty of other ways to enjoy the seashore. Head to this Maryland federal recreation site to enjoy a more laidback oceanfront vista, complete with — yes, seriously — wild ponies! This chain of barrier islands has been inhabited by these beautiful beasts for years, and you can see them for yourself while walking along the dunes. For even more ponyful goodness, head to the nearby Chincoteague National Wildlife Refuge, where you’ll also see other land mammals like racoons as well as a wide array of bird life. 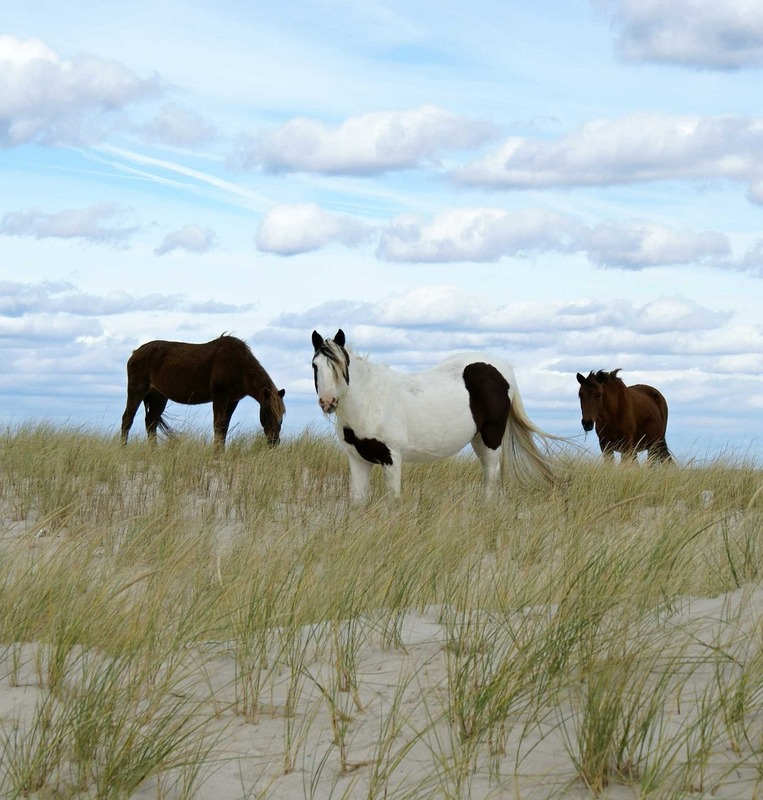 Click here to see RVshare rentals near Assateague Island National Seashore. It’s worth the short drive to nearby Devil’s Millhopper Geological State Park, a prehistoric-looking landscape featuring a sinkhole surrounded by a miniature rainforest. And for a bangin’ meal, don’t miss a trip to The Top. It offers all sorts of hearty comfort food, but also gluten-free and vegan fare, so there really is something for everyone! 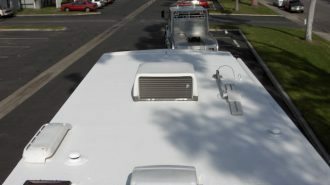 Click here to see RVshare rentals near Gainesville, Florida. 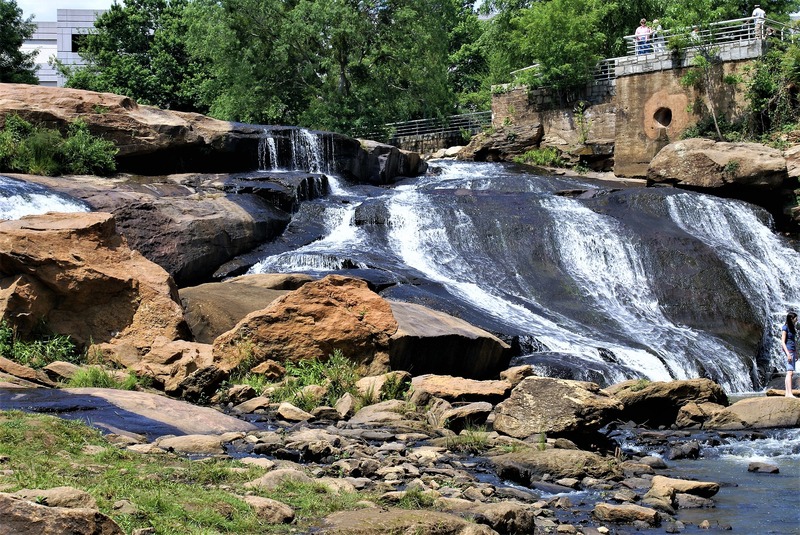 From snapping some quick Instagram pics at the Falls Park on the Reedy to exploring the Rabbit Trail or the Greenville Zoo, there’s a good reason this southern charmer landed on the top up-and-coming U.S. destinations published by TripAdvisor this year. 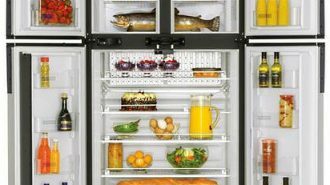 Good thing there are so many hiking trails to wander down and rivers to explore, because chances are you’re going to be eating plenty well while you’re in town. Fried green tomatoes and buttermilk fried chicken are just the beginning when it comes to southern comfort food! 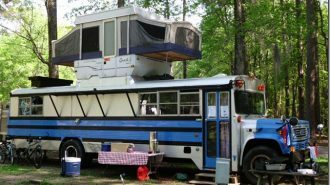 Click here to see RVshare rentals near Greenville, South Carolina. 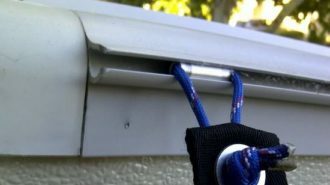 Got a horse lover in your camping party? Then at rip to Lexington is an absolute must. 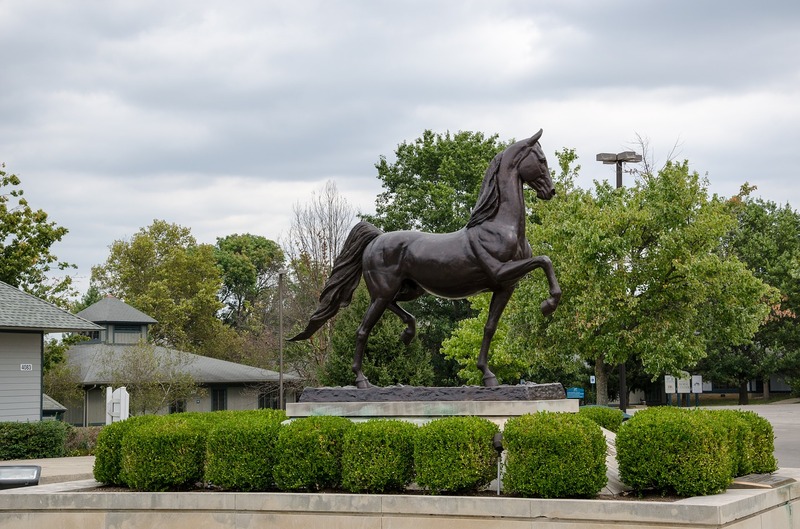 Not only is it well-known for its lush, green, rolling farmlands (all covered over in grazing horses, of course), it’s also home to Kentucky Horse Park, a one-of-a-kind equine theme park destination. 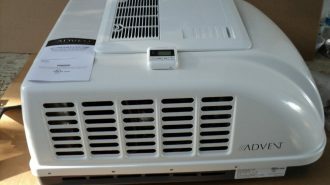 Click here to see RVshare rentals near Lexington, Kentucky. 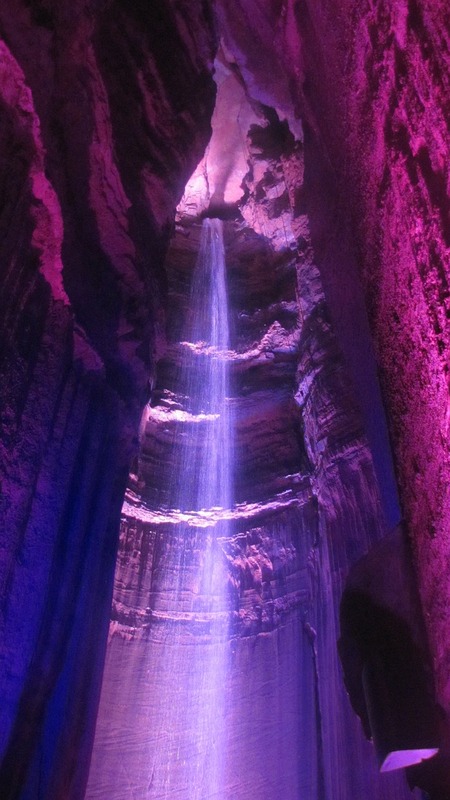 If go-to Tennessee tourism spots like Ruby Falls and Rock City have been on your list for a while, consider staying on the georgia side while you visit. All the hullabaloo of Chattanooga’s just up the road a piece, and you’ll have plenty of peace and quiet — not to mention fascinating Civil War history — to enjoy when you’re done with the day’s adventures. 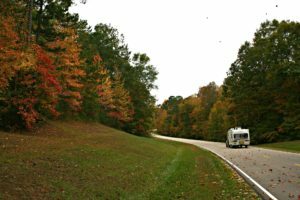 Click here to see RVshare rentals near Lookout Mountain, Georgia. 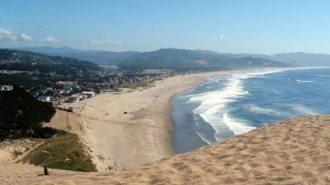 Although lists of dreamy California destinations more frequently include places ike Los Angeles and San Francisco, this central coast gem is just that: a gem, full to the brim with scenic sights and delicious seafood. 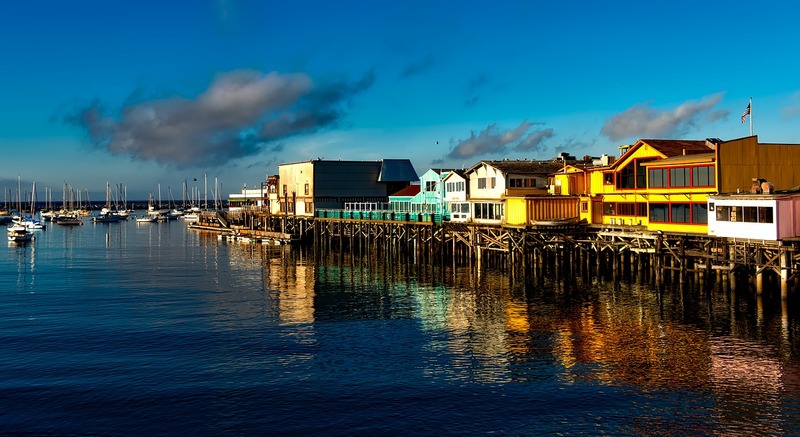 Meander along Cannery Row or the Santa Cruz Beach Boardwalk — and if you’d rather see your seafood than eat it, don’t miss a trip to its famous aquarium, which is one of the largest and best-known in the world. 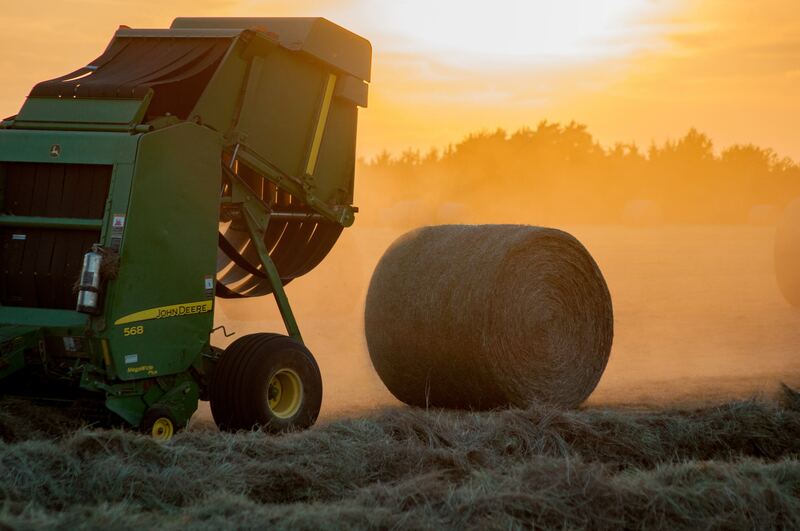 If you think Nebraska is nothing but wide-open prairie, think again — although, yes, there’s plenty of that too. But if you’re looking for an experience more cultural than cowpoke, this river city has you covered: whether you’re after nightlife or a nice day of exploring pioneer history in a slew of world-class museums, you’ll find what you’re looking for in Omaha. If you’re traveling with the kids, don’t forget to check out the Henry Doorly Zoo and Aquarium, which spearheads a variety of important conservation work and treats visitors to a big cat complex as well as an indoor jungle, rainforest, and desert. Don’t miss a drive along the Enchanted Circle, and be sure to check out the amazing natural hot springs that are easily accessible right off the main highway — though you might not want to try to drive your RV down that bumpy unpaved road! 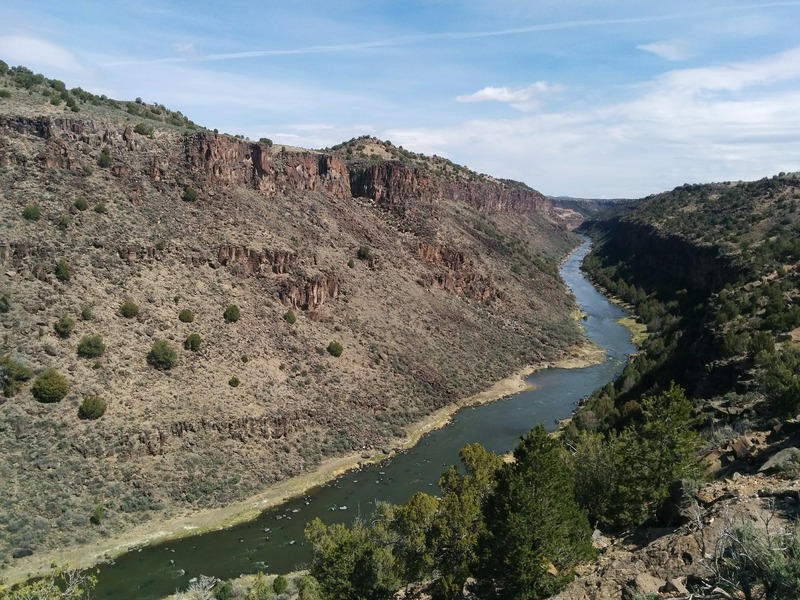 The town is also just a short dive from the Rio Grande Gorge Bridge, which is definitely worth the extra twenty minutes. A word to the wise, however: if you’re at all scared of heights, be sure to go with someone who’ll be willing to hold your hand. Along with wandering through the ever-so-carefully reworked homes spread across its neighborhoods, Waco also offers an array of weird and wonderful tourist to-dos, like the Dr. Pepper Museum and the Cameron Park Zoo, populated by fauna as diverse as otters and orangutans. There’s also the Waco Mammoth National Monument and dig site as well as a Vietnam Veterans Memorial. In other words, you’ll have no shortage of wonder in Waco! Click here to see RVshare rentals near Waco, Texas. If you find yourself standing on a corner in Winslow, Arizona you’re in for a treat. Not only will you be able to snap an Insta pic of yourself at Standin’ on the Corner Park to prove you were channeling the Eagles, but you’ll also be only half an hour from Meteor Crater, one of the weirdest, wildest, and definitely most underrated natural landmarks in the country. 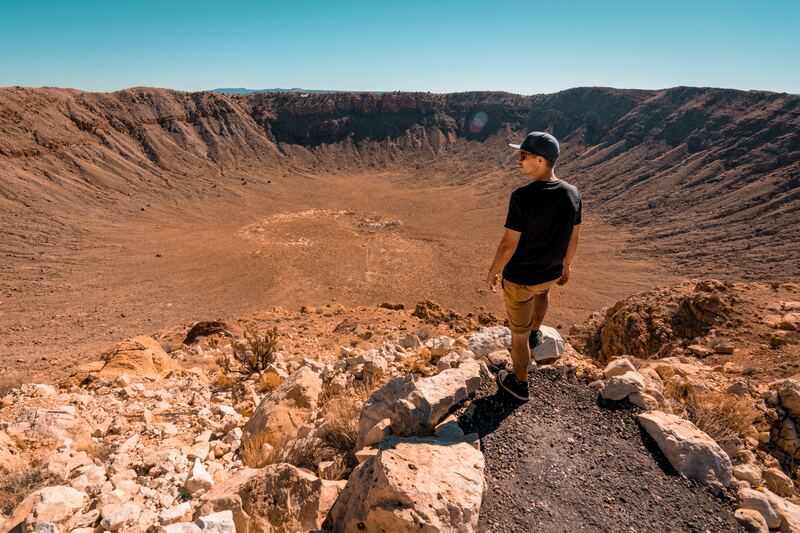 The self-proclaimed “best-preserved meteorite impact site on Earth,” Meteor Crater was created about 50,000 years ago when a fated chunk of space rock impacted this part of the high Arizona desert. Along with seeing the site itself, you’ll also get the opportunity to walk through the fascinating museum to learn more about where such meteorites come from — as well as the history of the people who discovered and preserved this impact site. 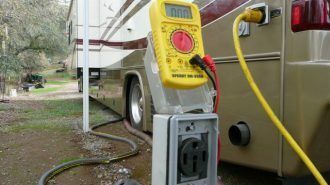 Click here to see RVshare rentals near Winslow, Arizona. Now that we’ve talked about some of the best places to visit in the USA, let’s talk about another important consideration: the best places to camp. 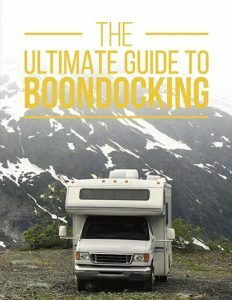 After all, unless you want to boondock at a Walmart every night of your vacation, you’re going to have to do some planning to find appropriate campgrounds! 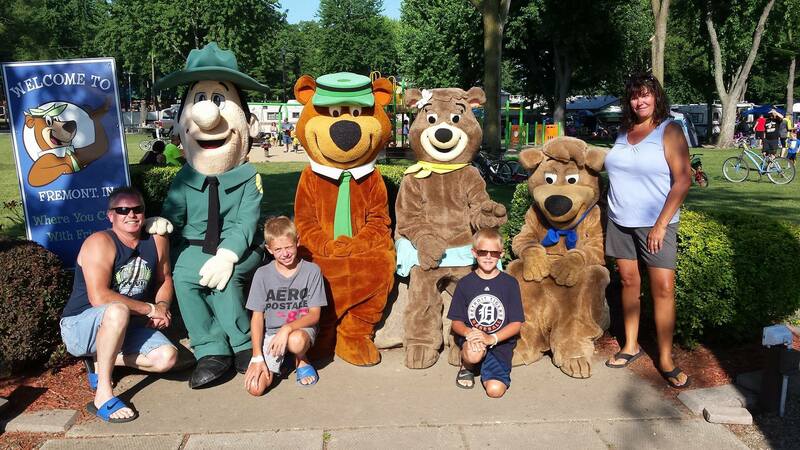 If you’re bringing the kids along for the ride, Jellystone Parks is one of our favorite family-friendly chain of RV resorts, offering all sorts of fun activities and amenities to keep the whole family smiling for the duration of your vacation. 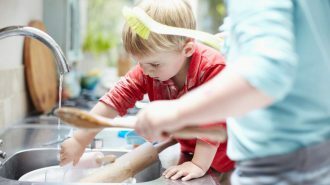 Whether it’s a day of wet and wild fun in the sun in one of the park’s splash grounds (which feature swimming pools, water slides, and all sorts of other aquatic adventures) to enjoying a scavenger hunt or other organized event, parents will enjoy Jellystone’s roster of to-dos just as much as their kids. And with over 80 locations across the nation, chances are there’s one nearby your next destination. 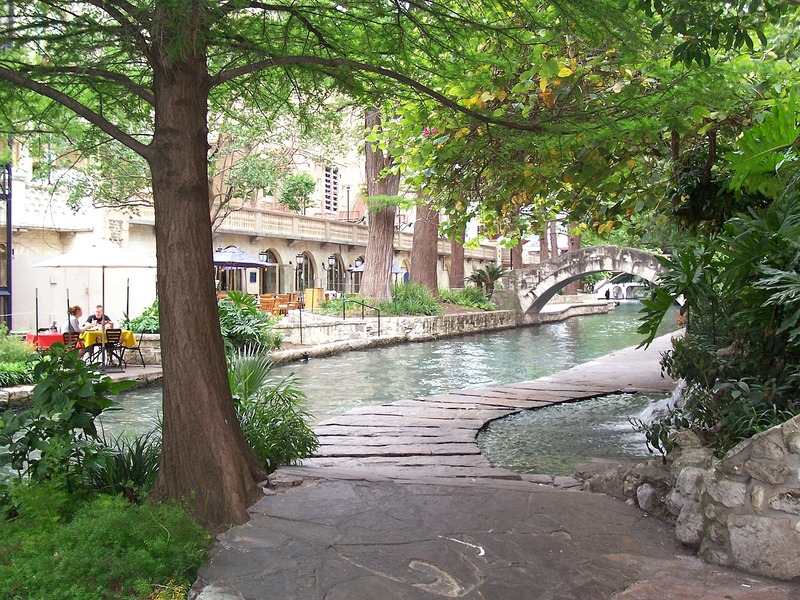 In fact, if you’re taking our advice about Denver or San Antonio, there’s definitely a convenient Jellystone location — click here to see all the others to choose from. 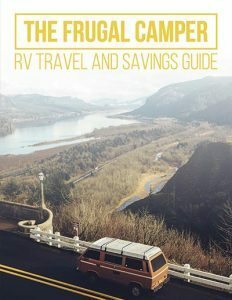 No matter who you’re bringing along on this epic USA trip, there’s another great tip if you’re looking for killer camping arrangements — and this one will help you save money so you’ll have more to spend on the fun stuff. It’s a Passport America membership, and it’s the very best way to save cash on your camping accommodations every single time. 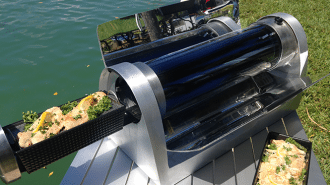 What’s more, the entire year’s membership will cost you less than $50… and given the price of camping spots these days, you probably know that means this thing will pay for itself in just one weekend. Click here to learn more and get your own membership today! 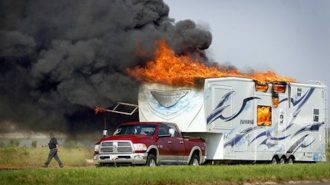 Ready to Find an RV Rental Near You? 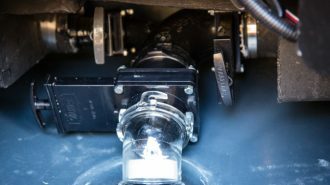 If you’ve been daydreaming about the epic 2019 trip you’re preparing to take, chances are you’ve already taken a peek at RV rental prices — and you might not have liked what you saw. 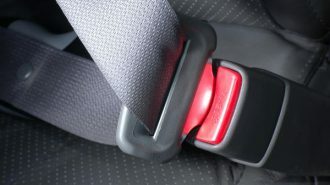 To be sure, this type of travel can get expensive… especially when you rent through a large, commercial dealership. 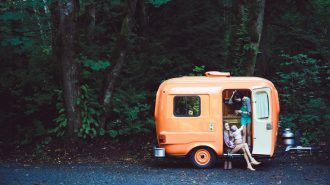 That’s why thrifty travelers are turning to the peer-to-peer RV rental marketplace, like the one here at RVshare. 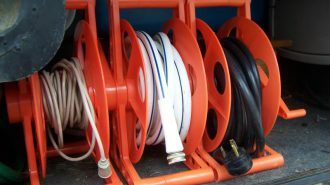 When you rent directly from an RV owner, you’ll benefit from their lack of overhead business expenses. They’re not tasked with keeping the lights on at a large dealership floor… they’re just looking to stash a few extra pennies into their pocket to help fund their own adventures! 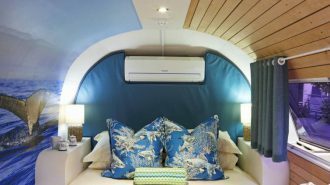 Plus, the vehicles you’ll find on the peer-to-peer market are likely actually lived in and loved by their owners — which means camping in them is a world away from the experience you’d have in a=the bland, fresh-off-the-factory-floor RVs you’ll find at most nationwide franchises. After all, it’s supposed to feel like a home away from home, right? RVshare rentals are also backed by comprehensive insurance policies, and roadside assistance is available, too — so you can vacation without worry, even in the unlikely event that something does go wrong on the road. You’ll save money, find a great vacation vehicle, and meet some amazing new travel friends. Way better than signing a stack of fine-print papers under fluorescent lights, right? For more information and to find an RVshare rental vehicle near you, check out the listings in your area. 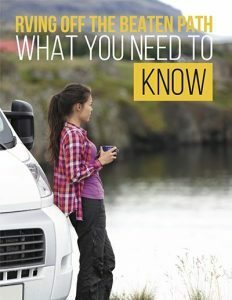 And whether you’re renting, traveling in your own travel trailer or motorhome, or simply fantasizing about a future vacation, check out the following RVshare posts to help make your next trip go more smoothly. Happy new year — and happy camping!